Buying vs. Renting a Home in Toledo: Which Should You Choose? Buying a house is a goal for many, and it’s a great dream to strive for. However, sometimes it is better to rent a home than own one. How do you decide which one is right for you at this stage in your life? Use this guide from The Degnan Group to compare buying vs. renting a home, and better understand the pros and cons of each option. Sometimes, renting makes more sense than buying a home. Three reasons why you may prefer to rent are for flexibility, less responsibility, and more convenience. If you’re just starting out in a new career, or planning to move again soon in the future, buying a house probably isn’t for you. When you rent, you can pick up and move whenever you want, all you have to do is wait for your lease to end or find someone to sublet the apartment. If you get a job offer in a new city, want to move closer to family, or just need a change of scenery, the choice to move is much easier when you aren’t tied to an expensive property. When you rent you have the burden of waiting on your landlord for major fixes, but you also have less responsibility on your shoulders. If the furnace breaks, or the basement floods, or you need a new carpet, those unforeseen expenses will not be coming out of your budget. You can rest assured that your monthly payment for housing will always be the same, no matter what storm hits or disaster strikes! The last reason why renting can be better than buying is because it’s simply more convenient. The bottom line is that buying and selling a house takes time and costs money. Renting is easier. You should only buy a house if you’re planning on staying in one area for a while, because the process of purchasing a home is not something that you’re going to want to do every year or two. If you rent and then later decide you want to be in a different school district, need a backyard, could really use another bedroom, or a million other things that you may only discover after living in the house, moving to a new one is easy. However, if you buy you’re just going to have to learn to live with the inconvenience. There are three major reasons why buying a home is better than renting. They are finances, stability, and the ability to call your own shots. One of the biggest reasons why you should buy a home instead of rent is the finances. Often, buying can save you money in the long run because paying a mortgage instead of rent usually has a lower monthly cost for a bigger space. Also, buying a house gives you a better return on your investment. You are paying to live in the home, but also to eventually own it. This is called building equity, and your net worth increases as you pay off the home. In contrast, paying rent for an apartment gets you a space to live in, but no extra value comes from it. A second reason to buy a house instead of rent is for stability in your life. When you rent from a landlord, you only sign a one-year lease. At the end of that year, things can change. Your rent costs could go up so much you can no longer afford it, or maybe the landlord wants to sell, and you’ll be kicked to the curb. In contrast, when you own your own home you know exactly what the mortgage payment will be five, ten, and 20 years down the road, and you can be sure that the home won’t be up for sale in the future because all of those decisions are up to you. Finally, owning a home has an advantage over renting because of this ability to be completely in charge of your property. If anything breaks or needs to be updated and replaced, you don’t have to make multiple calls to your landlord and wait for them to get back to you. Some landlords are very unresponsive, and others may even try to blame you for damages and make you cover them. Instead, when you own the house all of the fixes are your responsibility. That means you can take care of them right away, and rest assured knowing that the money you put into the home adds resale value for you in the future. Renting and buying a home are both great options. It all depends on what stage of life you’re in at the moment, and what you value most for your living situation. If you need flexibility, aren’t looking for a major responsibility, and want more convenience in moving where and when you want, then it’s best to rent a house. However, if you want to make the best financial decision, have stability, and call your own shots, then buying is right for you. 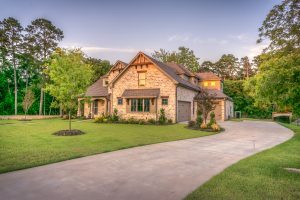 When you’re ready to hit the market for a new home, remember to choose The Degnan Group to help you buy the right house for you and your family’s needs. Just call today to get started!